摘要 目的：探讨卵巢上皮性癌细胞系（SKOV3）来源肿瘤干细胞的免疫特性。方法：通过干细胞特异性标记物乙醛脱氢酶1ALDH1表达鉴定富集肿瘤干细胞（CSCs）的球状细胞（SDC）。将富集CSCs的SDC与相应的贴壁培养的普通卵巢癌细胞（MDC）进行比较。通过Transwell法（细胞侵袭试验）检测SDC和MDC对于T细胞增殖以及分泌功能的影响。RT-PCR检测SDC以及MDC免疫抑制基因表达情况。结果：以球体细胞形成方法获得的CSC富集SDC群比MDC表现出更高比例的ALDH1表达。将T细胞分别与SDC和MDC共培养,SDC组T细胞增殖率显著低于MDC组。MDC共培养的T细胞分泌IFN-γ、IL-2水平明显高于与SDC共培养的T细胞（P〈0.05）。SDC表达免疫抑制基因ArginaseⅡ、IDO、IL-8、TGF-β水平明显高于MDC,以ArginaseⅡ、IL-8的上调最为明显（P〈0.05）。结论：球体细胞形成试验是获得卵巢肿瘤干细胞的可靠方法。在卵巢上皮性癌细胞系（SKOV3）中,CSCs比普通肿瘤细胞表现出更强大的免疫抑制性,这可能是妨碍免疫治疗的免疫逃逸机制。 Objective： The dimensional cultures（spheroids） were generated from Ovarian cancer cell lines（SKOV3） in order to enrich for CSCs. Methods： Stem cell markers ALDH1 were compared between CSC-enriched spheroid culture-derived cells（SDC） and the corresponding monolayer culture-derived cells（MDC）. We evaluated the effect on proliferation and function of SDC or MDC on T cells in transwell assays. To compared the immune suppression gene expression of the SDC and MDC in RT-PCR assays. Results： We show that CSC-enriched SDC populations exhibit a higher proportion of ALDH1 expressing cells as compared with corresponding MDCs. The proliferation rate of T cells cocultured with SDC was significantly less than that of T cells cocultured with MDC. The expression of cytokine production of IFN-γ and IL-2 by T cells cocultured with SDC was significantly less than that of T cells cocultured with MDC（P0.05）. 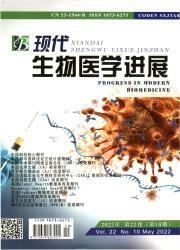 RT-PCR results showed that the expression of SDC gene, such as ArginaseⅡ, IDO, IL-8 and TGF-β,was significantly higher than that of MDC,specially in ArginaseⅡ and IL-8. Conclusion： Spheroid culture is a reliable method for obtaining ovarian tumor stem cells. Consistently, we have found in ovarian cell lines（SKOV3） a strong immunosuppressive activity exerted by CSC. All T cell functions investigated were suppressed upon co-culture with SDC significantly stronger than by MDC. This maybe an t escape mechanism from immune cells supporting sustained growth of tumors and hampering immune therapeutic strategies.